Back-to-school is in full swing now. 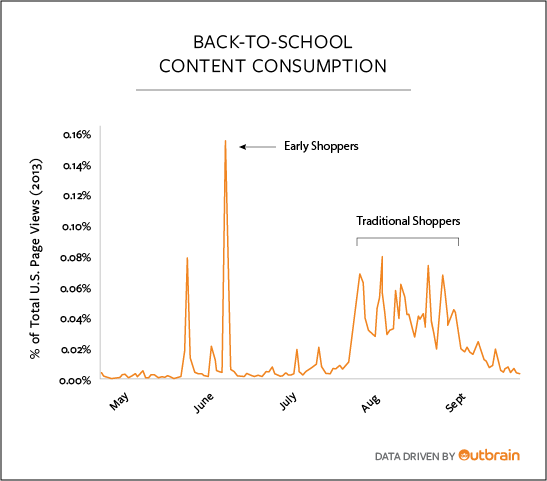 The traditional back-to-school season has changed and marketers need to make note. The reason for many of these changes are year-round school schedules, just-in-time shopping, online shopping habits and budgets. The back-to-school season has become more of a pinnacle of an ongoing activity than a confined season. How big is back-to-school? The average family will spend $670 on shopping this year, up 5% from 2013 according to the National Retail Federation. However, 21% of families with children in elementary, middle school or high school reported in a NRF survey they will spend less this year. Did you know? Combined school and college spending was estimated at $72.5 billion, making it the second-biggest season for retailers. Winter holiday ranks first at $84 billion and Mother’s Day comes in at third at $21 billion. Here are five things to know about this year. 1. 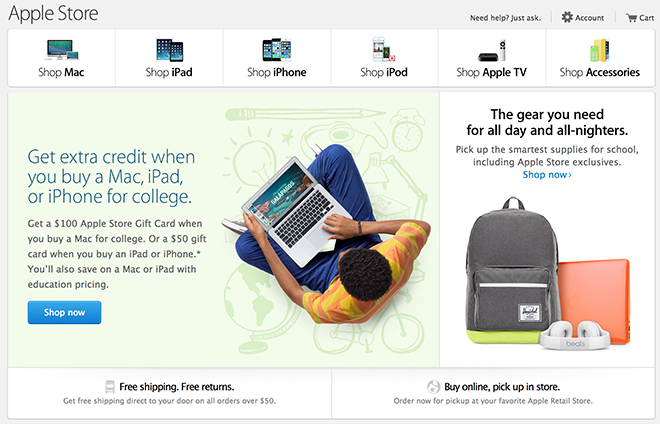 Back-to-school shopping starts in July. Americans began their search as early as June last year. Google conducted a study during the 2013 season and found that 23% of respondents began back-to-school research before July 4, with nearly two-thirds (65%) starting by the end of July. In contrast, only 35% said they made a purchase by the end of July. The spending is spread out over several months, with traditional spending in August and September. The early shoppers take advantage fresh merchandise, early bird sales and comparison shopping, while the later shoppers are necessity shopping and maybe taking advantage of end-of-season sales. One difference in the early and traditional shopper may be their form of shopping. The early shoppers are using their desktop and tablets to shop, while the more traditional are using mobile devices and shopping in-store. During back-to-school 2013, competitive pricing was the top use of mobile, with 66 percent of shoppers planning to use their smartphones to obtain price information and 60 percent to obtain discounts, coupons, or sale information–up 15 percentage points from 2012. There is a whopping 78% of smartphone owners using their mobile devices for shopping. 2. Just in time shopping. The mall has been replaced by online and teens are constantly shopping for new ideas. The world of disposable fashion has lead teens to take advantage of affordable retailers and wait to see what their friends are wearing. Digital-native students are shopping constantly throughout the year, even if they’re not buying. Just-in-time shopping also shows that as many as 50% parents only buy what is essential for back to school and then buy additional needs during the holiday season, when they expect the best deals. It is a way of spreading out the shopping expense to make it more manageable for their budget. And parents are saving money by buying store-brand items, shopping sales and using coupons. 3. Online is #3 destination. 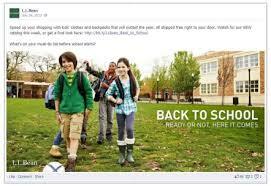 eMarketer forecasts that digital sales for the back-to-school season will increase 16.0% in 2014. One-third of all back-to-school shoppers will make an online purchase, and 45% of back-to-college shoppers will head online. According to Deloitte, among top back-to-school shopping destinations in 2013, 36 percent of consumers shopped online, moving online shopping to the third destination behind discount and office supply/technology stores, a significant jump from the No. 8 position in 2012. 4. College Online Spending Big. More than $3 of every $5 aimed at back-to-school clothes and supplies is spent on college-bound students. A PM Digital report shows online shoppers stealing 37% of this market as the online college segment spends over $1,100 per family. In fact, shopping expenditures are higher online – with 37.3% K-12 and 37.1% college students buying through e-commerce. 5. Smartphone Tool for Shopping. During back-to-school 2013, competitive pricing was the top use of mobile, with 66 percent of shoppers planning to use their smartphones to obtain price information and 60 percent to obtain discounts, coupons, or sale information–up 15 percentage points from 2012. There is a whopping 78% of smartphone owners using their mobile devices for shopping. What should marketers do this season? 1. Make sure your campaigns are live now and active through September. To stand out, thing about using video and consumer stories to help tell the story. Search should be already in place. 2. Make sure content is available on tablet and mobile. Don’t forget social. Hashtags like #stapleshasit and L.L.Bean’s #packmentality, which leapt from social media into display, email and print last season, will proliferate in 2014. 3. Solicit stories from your customers to drive positive reviews. 4. Time your sales (early-bird and end of season) to match buying periods. 5. Differentiate between back-to-school and back-to-college. I just returned from the LA Festival of Books and on my plane trip home, as I juggled between my iPad and a paperback, I wondered about the future of reading. Some think we are in a transition as disruptive as Gutenberg’s printing presses more than 500 years ago. In fact, some in Silicon Valley think Gutenberg was the first technology geek and call him their patron saint. 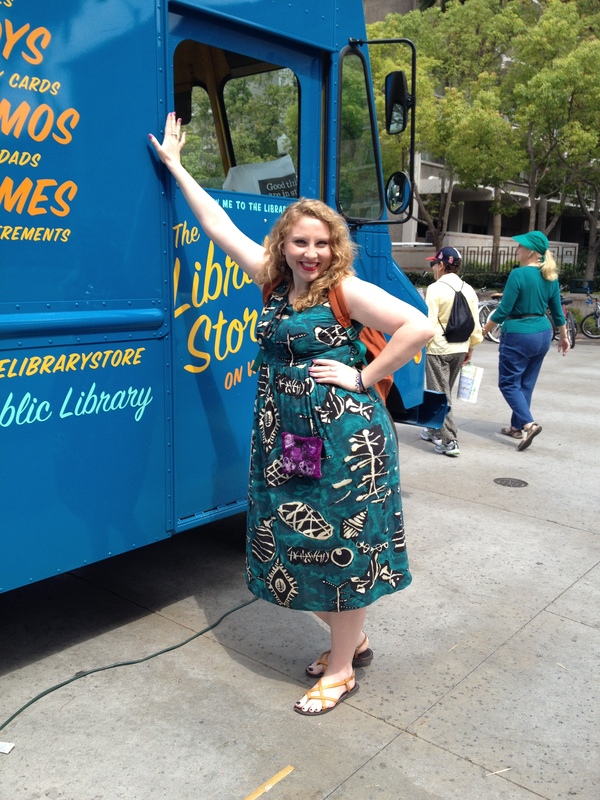 Women contributed to 58% of book purchases in 2012, up from 55% in 2011. According to Pew Research, more than 50% of Americans now have some type of handheld device–either a tablet computer like an iPad, or an e-reader such as a Kindle– for reading e-content. That number is up from 43% of adults who had either of those devices in September 2013, so adoption is growing. Some 76% of all adults have read a book in the past year, but 82% of women have read a book in the past year. The typical adult read or listened to five books during the year but the median number of books read by women was 14 books. Those who read books on an e-reader tend to be more female, while gender is fairly evenly split on iPad book readership. The amount we read has stayed fairly level the past few years. But here’s an interesting statistic. The majority of those reading e-readers still read print books as well. Among adults who read at least one book in the past year, just 5% said they read an e-book in the last year without also reading a print book. Sure, publishing is changing. Bookstores have become curated collections, not mass marketers, and writers are unchained and able to post their own books to Amazon. But as I walked through the LA Festival of Books and saw and heard people lovingly hold and share their books and heard authors speak of their inspirations, I realized that story is still alive and well. And that is the future of reading. A little retrospective on what you thought was most interesting in The Lipstick Economy this year. These are the top posts on marketing to women from this year. A confusing year for women – Sheryl Sandberg told us to “lean in”, Miley showed us how to twerk and Yahoo’s Marissa Mayer extended paid leave for parents and banned telecommuting. 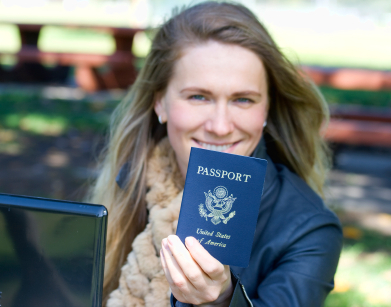 Marketing Travel to Women: Eight New Trends You Need to Know. According to the Travel Industry Association, there is an estimated 32 million single American women who have traveled at least once in the past year, and some three in ten travel five or more times a year. The average adventure traveler is not a male but a 47-year-old female and they have different expectations from travel than men. Marketing to Women: Growth of Women in Marketing. Almost a third of all Americans are employed in marketing-related positions. That’s a staggering number if you think about it. And it is a path for women to grow up the corporate ladder. A recent study by a recruiting firm found that more top executives have come out of marketing than of any other area. Marketing to Women: Why Marketers Don’t Understand Women. For the first time in history, women now outnumber men in the workforce. Women are more educated, accounting for approximately 58% of students in two- and four-year colleges. We account for 85% of all consumer purchases. Purchases include homes, healthcare, cars, travel and computers. And 96% list “being independent” as their single most important life goal. But research says 91% of women don’t think marketers understand them. 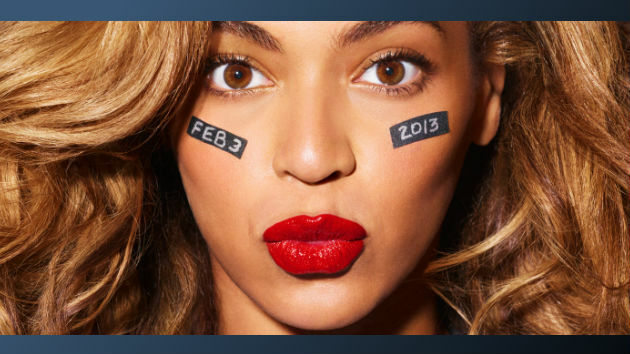 Marketing to Women: Women Watching Super Bowl Too! More women are watching the Super Bowl than the Academy Awards! In 2012, 54 percent of the roughly 111 million viewers who tuned in to watch the Superbowl on Fox were men, compared to 46 percent women. Marketing to Women: Your Elevator Speech in 15 Seconds. Sometimes the most important things are not addressed in business. This handy guide to creating your elevator speech in 15 seconds is vital. At New Year’s when you are at that party and someone asked you what you do, what will you say? Marketing to Women: Six Things to Know About #Hashtags. Hashtags are everywhere. Some 24% of tweets contain hashtags. And 71% of people on social media use hashtags. 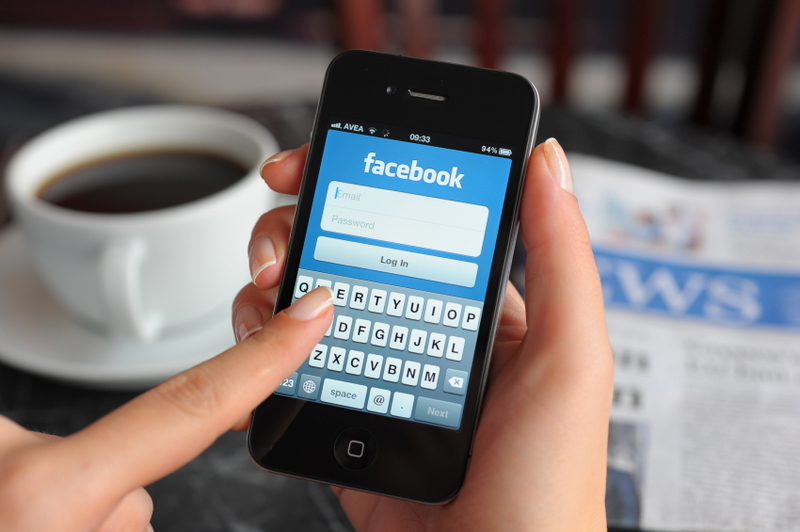 Even Facebook instituted the lowly pound mark that has become a strong marketing tool. Do you know when to hashtag and not to hashtag? Marketing to Women: One-third of All Women Are Single “Indies”. It’s a new day for women and there is even a new term for the group that are over 27, not married, not living with a partner, and without children. They are called the Indies. This group has been growing and currently include some 31 million women, about a third of all adult women. They now surpass the number of married moms! Marketing to Women: Emotional Connection Important for Healthcare. A recent study shows that 85% of consumers say it is important or very important to them to do business with a company for which they have strong emotions, per survey results from rbb Public Relations. And the industry for which it is most important is healthcare. Marketing to Women: Power to the PANKs. PANKs, Professional Aunts No Kids. They are actively involved in the lives of children around them. In fact, one in five women is a PANK, or approximately 23 million Americans. PANKs are roughly half of all the women who are not a mother or grandmother. This group is actually growing as women are choosing to stay single or marry later. PANKs spend $9 billion on toys and gifts for children annually. Marketing to Women: Top 10 Culinary Trends for Restaurants. The top 2013 trends included healthy kid’s food, iced tea, gluten-free, Greek yogurt and more. Whether we have the latest smartphone or a second generation tablet, we are all using them to shop! A recent study by AOL showed that the conversion rate for mobile purchases grew 28%. What does that mean? Well, it means that people actually made a purchase while on their mobile device. A whopping 31% of conversions across four verticals occurred while using a mobile device. And the industries with the highest conversion rates were telecom, retail, auto and travel. Mobile Device Share of Online Conversions (% on Smartphone and Tablet; August 2013) The findings are based on analytics from more than 500 billion online ad impressions and 100M conversion events across all devices, such as mobile phones, desktop computer and tablets. There has been a misconception that mobile really means only mobile – that we are using devices only on the go. But actually 25% of our digital is spent at home and that is where we are viewing and purchasing many things. And 75% of all mobile ad impressions were viewed within the home. A lot of that has to do with the amazing adoption of tablets, iPads in particular. Historically, advertisers focus on branding or driving the purchase of mobile-centric offerings. The AOL points to an opportunity to drive conversions for a much wider array of products and services through mobile. Just wanting a gift of love from these two! I love Mother’s Day. Of course, I do. I am a mother. 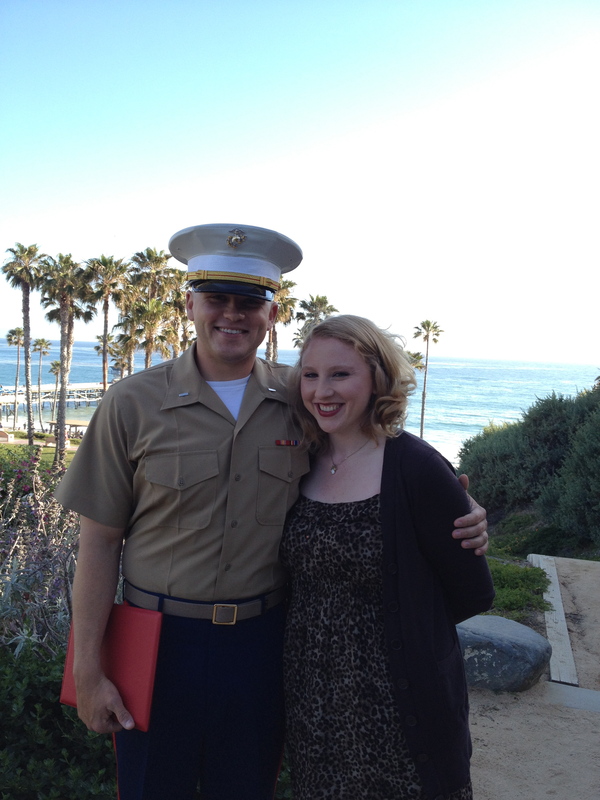 I love spending time with my son and daughter. I love silly cards, I love sweet cards. I love flowers. I love handmade things. I love hugs and kisses. Seems I am not too different from others. A gift is good but love is best. Market researcher NPD found that of the more than 2,000 moms of kids 18 and younger it surveyed, a handmade gift from their child was on the top of the list, chosen by 14.6%. In the study commissioned by Child’s Play Communications, the second most popular gift was a day off entirely for herself (13.6%), closely followed by a spa day (12.9%). Only 1.3% say they want breakfast in bed. In a different study, National Retail Federation’s Mother’s Day spending survey conducted by BIGinsight, consumers indicated they will spend an average of $168.94 on mom, up 11 percent from last year’s $152.52. The survey found 14.1 percent of shoppers – the highest in the survey’s history – will spend more than $2.3 billion on electronics, treating Mom to a tablet or smartphone. And more than one-third (34.4%) of gift givers will buy jewelry, spending a total of $4.2 billion. That’s a lot of glitz! Also setting a record is the fact that nearly three in 10 (28.5%) Americans will buy their gifts online, up from 25.6 percent last year. Mother’s Day can mean purchasing gifts for their wife, daughter, grandmother, sister, mother or stepmother. If you are marketing to women, don’t forget that many of these women are guiding or actually doing the purchasing of these items. Seems honoring Mother has long been a tradition. In 16th century England a celebration called “Mothering Sunday” was held annually—a Sunday set aside for visiting one’s mother. The eldest son or daughter would bring a “mothering cake,” which would be cut and shared by the entire family. Family reunions were the order of the day, with sons and daughters assuming all household duties and preparing a special dinner in honor of their mother. Sometime during the day the mother would attend special church services with her family. It is becoming hard to say travel without talking about mobile devices today. 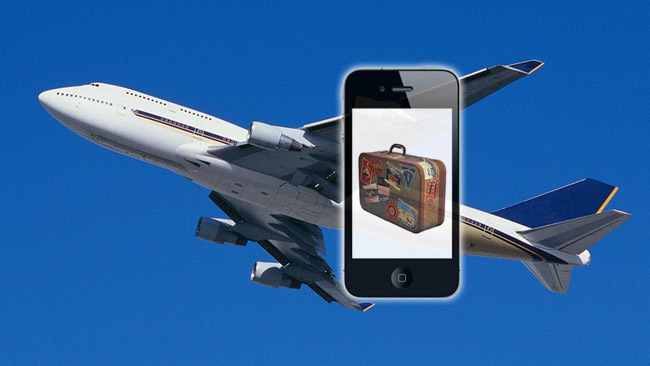 By 2014, smartphones and tablets are on track to capture nearly one in five travel dollars. And those who are marketing travel to women should take note of some of the opportunities and challenges. Some 80% of all travel decisions are made by women and 40% of travel is planned using a mobile device. The tablet is the preferred device for planning travel and the smartphone is the choice for booking trips while on the go. In fact, three-quarters (76%) of us reach for the smartphone when booking travel on the go. Poor mobile experiences can cause travelers to take an alternative course and could result in decreased revenue for travel brands. More than a third (35%) of connected travelers would be less likely to book again with the travel brand after a slow, confusing of non-optimized experience when research or booking travel on a mobile device. Some of the issues in addition to slow load time are complicated search and selection, poor navigation, not linked to loyalty programs or not designed. Whether we buy online or research online, all retail is going to be impacted by online activity. Not ten years from now, but just a couple of years from now. How can that be, you ask, when only 5.4% of retail sales were reported as e-commerce in the fourth quarter of 2012? Well, here’s the news bulletin. While online retail sales are a smaller portion, many of today’s sales are web-influenced. In fact, 70% of consumers research online before they make an in-store purchase. And the average shopper may be using 10.4 sources of information to make a purchase decision. Social media and mobile continue to become important influencers in this shopping behavior. Moms continue to be the heavy shoppers and one-third of all moms own a connected device. Moms spend 6.1 hours per day on average on their smartphones – that’s more than magazines, TV or radio. 62% use shopping apps and 46% took action after seeing a mobile ad. Mobile usage is growing among moms. It’s 40% higher today than in 2009 for these mobile moms. The statistics for moms shopping on tablets are off the charts – 97% made a purchase using their tablet in the last month. And 46% actually want to receive information while they are in a store. 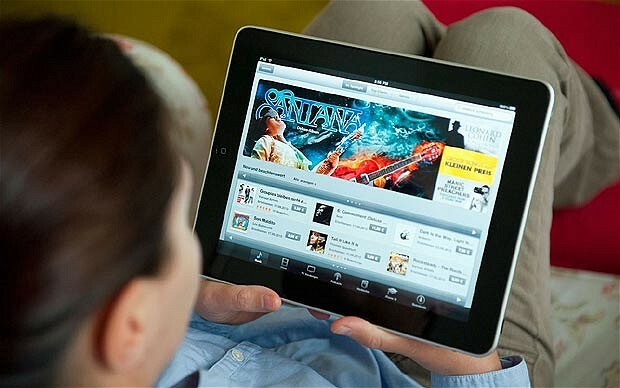 Warning to Retailers: many retailers have been shown to be slow to adapt, and are without tablet websites or iPad sites. When you don’t keep up, you are giving the competition the edge and giving iPad shopping startups a shot, like Pickie or Fab.com or others. For more statistics on shopping, read more here. You are currently browsing the iPads category at The Lipstick Economy.